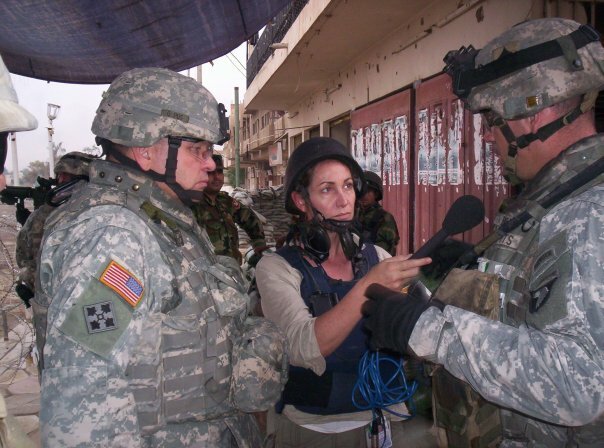 On August 28th this year while embedded with U.S. troops in Afghanistan, CBS News Radio Correspondent, Cami McCormick was seriously injured when an IED exploded under the armored vehicle she was travelling in, killing the U.S. serviceman sitting next to her. Cami has endured countless surgeries since then and remains at Walter Reed Army Medical Center but is mending well. Throughout all of this, she has somehow remained strong, positive and remarkably humble. In a long phone conversation I had with her last month, she told me she didn’t want people to feel sorry for her, that she knew the dangers she was in; she was exposed to the same risk as the soldiers- she was doing her job. Today is Cami’s birthday and her family and legions of friends are celebrating an amazing woman, a dedicated professional and now, an inspiring figure to so many of us. Her story is a testament to the courage and bravery displayed daily by all journalists who risk their lives in the most dangerous places on earth- to bring us the truth. We celebrate that she was born, that she is still with us, and that there is so much that is good in life that is still ahead of her. You are one tough cookie, lady. Happy Birthday!